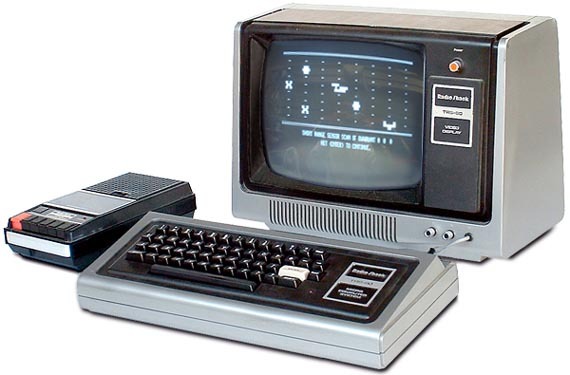 I ran into a web site today showing the 1980’s Radio Shack catalog of the TRS 80. My very first computer had been a Trash-80 and I remember having a lot of fun with it. One of the most difficult tasks for me to understand, at that time, had been the idea of an interpreted language, like that TRS-80 Basic. Before that computer I had been mostly exposed to assembler and some high level language like Fortran and PL3 on an IBM mainframe. This the idea of typing in human readable code and directly running it – without compiling and linking – was a strange concept to grasp. This lengthy procedure trained you to really think ahead and consider all possible errors – it took too long to ‘just try’ something. In this regards those interpreted languages are much easier and train programmers to be much sloppier. Bigger part of the internet now is based on such sloppy work – whenever you have a php file it is more or less interpreted like the old Basic in my Trash 80. I once read – and it made a lot of sense – that we would do a lot to avoid global warming if we would compile all those billions of lines of php code into machine code once and then execute that on the server. All data centers around the world could be scaled down considerably if each line of php code would not have to be compiled over and over and over again, thus saving energy for the processors of the web sewer and the energy for cooling them. Maybe, then the web could run on a couple of TRS-80s. 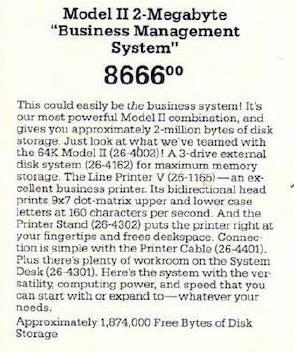 This entry was posted in Computer, Internet, Science, Technology and tagged cassette tape, first computer, floppy disks, fortran, Global Warming, ibm mainframe, php file, pl3, radio shack, readable code, sloppy work, trash 80 on December 13, 2012 by Merlin Silk.